In a world where everyone is forced to sit bored in rows upon rows of neverending bleachers, one person dares to defy the tedium, and start a crowd wave that rocks the world. This is that wave's story. 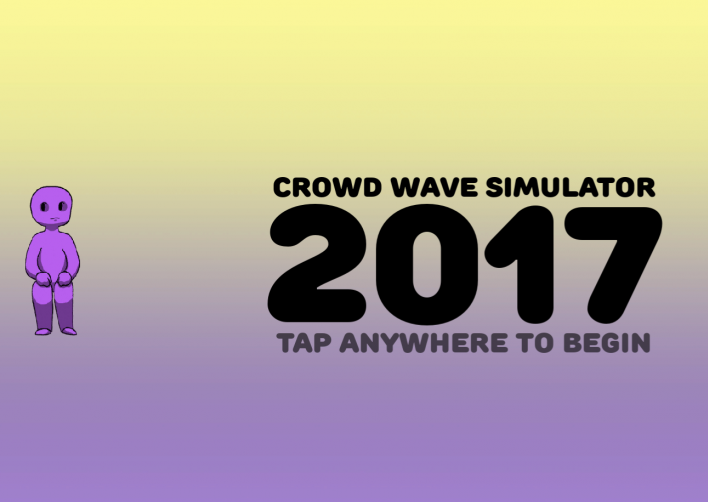 Initially developed for Global Game Jam 2017 by a team of five, this game lets you control the direction of a crowd wave. 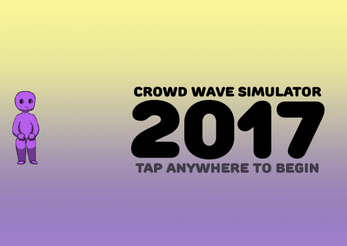 Click on the screen and drag, avoiding grumps who will break the wave and end the game. Be sure to keep track of your "shot" meter--once it's full, unclicking the screen will send forth a fast crowd wave across the screen, which will make even the grumpiest grumps join in on the fun! This game is an early, pre-alpha prototype that is currently under development.